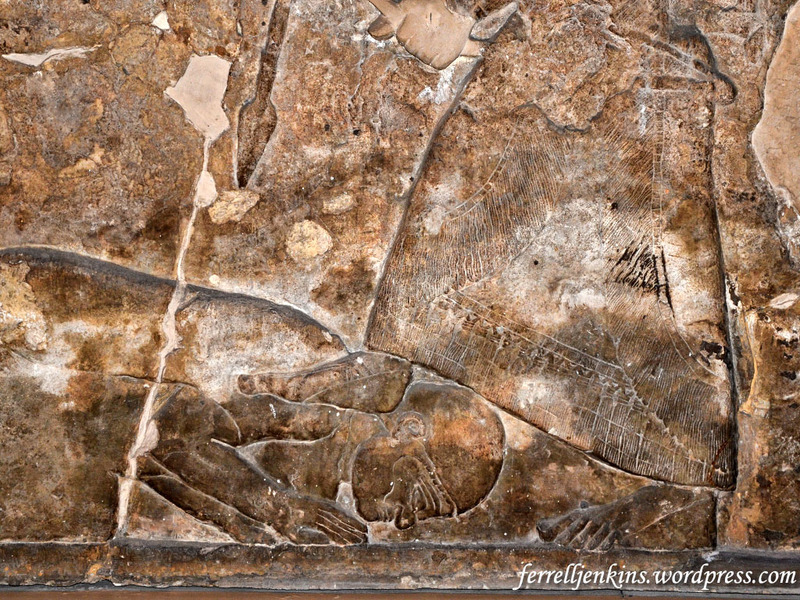 A common motif found in Ancient Near East reliefs shows a monarch placing his foot on his enemy. 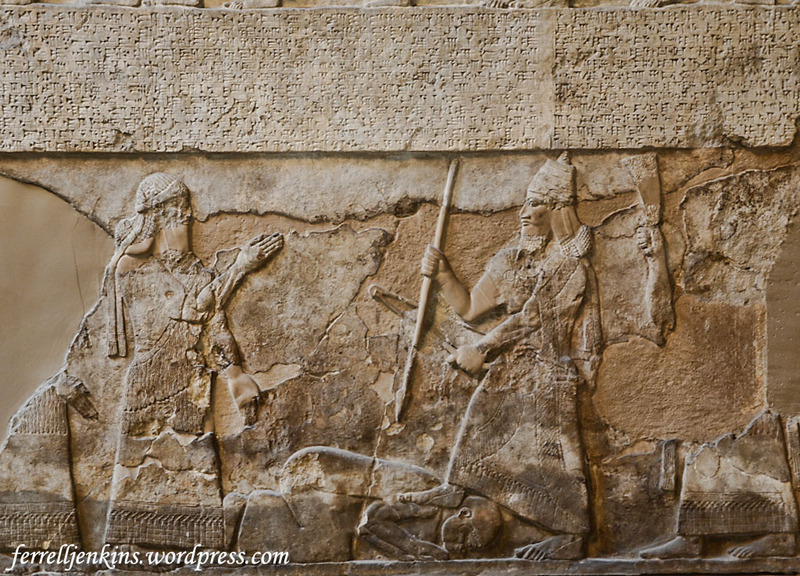 One illustration of this is the large relief showing the Assyrian King Tiglath-Pileser III (reigned 745-727 B.C.) with his foot on the neck of an enemy. Tiglath-Pileser III is known as Pul in the Bible. The Assyrian relief below is displayed in the British Museum. Here is a closeup of what we are seeking to illustrate. Tiglath-Pileser III Puts His Foot on the Neck of an Enemy. BM. Photo by Ferrell Jenkins. Several biblical passages come to mind in this connection. Peter quotes Psalm 110:1 to show that Jesus is now seated on the throne of David at the right hand of God (Acts 2:35). The last enemy is death (1 Corinthians 15:26). Note: This post is a repeat of one we published October 21, 2011, but we have exchanged the photos for more recent ones. In the next post we plan to show an illustration from the Roman world. This entry was posted in Archaeology, Bible Study, Culture, New Testament, Old Testament, Photography and tagged Assyrian Empire, British Museum. Bookmark the permalink.